Guest Blogger Chuck Prevatte of FoodWineBeerTravel.com shares with us the 3 Things you MUST do when visiting Huntsville Alabama. 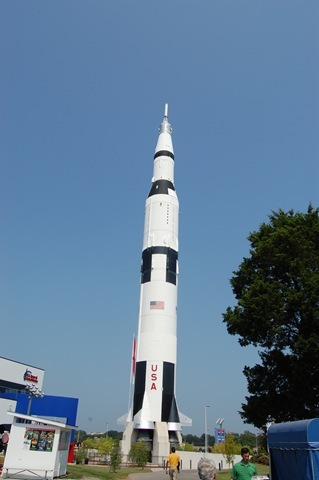 Huntsville Alabama, Rocket city U.S.A, was first settled by John Hunt in 1805. The original name of the settlement was Twickenham. In 1811 the settlement was renamed in honor of the first settler. Since that humble beginning the city has grown along the Tennessee River, adding textile mills, then munitions factories, to become a major city that includes NASA’s Marshall Space Flight Center and the United States Army Aviation and Missile Command at the nearby Redstone Arsenal. The National Trust for Historic Preservation named Huntsville Alabama to its “America’s Dozen Distinctive Destinations for 2010” list. Today, Huntsville, Alabama is one of the most recognized cities in the Southeast. 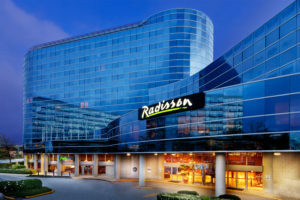 The city is consistently named as one of the best places to live and work by a variety of national publications. When you visit Huntsville, and you really should, here are the top things you must see. Right at the top of the list is a visit to the U.S. Space and Rocket center. If you remember Neil Armstrong stepping onto the moon, or marveled at Shuttle as it flew to space you will be amazed at the sights and sounds of this space museum. 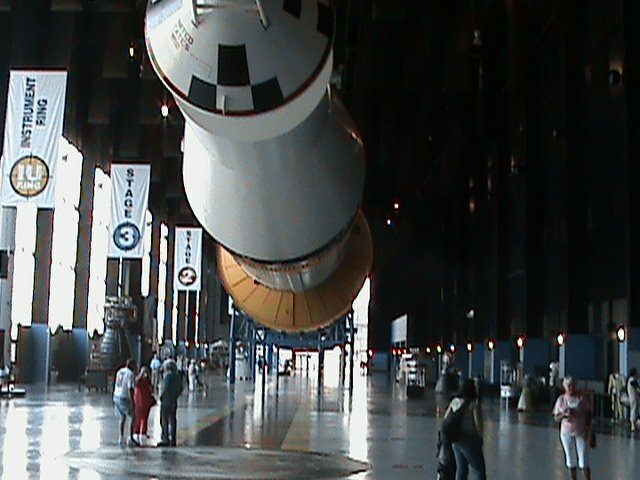 Operated by the State of Alabama, the U.S. space and Rocket center is home to a vast collection of artifacts including the Saturn V Dynamic Test Vehicle which is a complete Saturn V Rocket. The Saturn V is suspended about your head as you walk through the Davidson Center for Space Exploration. You really get an understanding of just how complex a machine it was. Also located at the U.S. Space and rocket Center is Space Camp and Aviation Challenge. You can see the Camp “Trainees” working on their simulated space missions. Late April is a wonderful time to visit Huntsville, you can schedule your trip to match up with the second of my top three, The Panoply Arts Festival. The Panoply Arts Festival is the Southeast’s premier arts weekend showcasing Huntsville’s innovative spark through a festival of art, music and more. Taking place the last full weekend of April each year, the festival is a family-friendly event with over 75 live performances, hands-on interactives, great food and drink, a creative play space, the World Discovery Zone and much more. Organizers feature performance groups from school choirs, churches, local musicians, and dance studios. The festival is held in Huntsville’s Big Spring International Park near the downtown area. Bring your favorite camp chair or a blanket and enjoy the weekend of the arts. For the third, I am going to give you a twofer. So far we have been to space and seen the arts, its time to visit our nature attractions and see some local history. For a place to stay, I suggest the cabins at Monte Sano State Park. All of these structures were built in the 1930’s by the Civilian Conservation Corps as part of the “New Deal Program”. These rustic stone cabins with a 500 square foot studio layout are gems. They come with everything you need but food. The park even provides fire wood in the colder months. While visiting Monte Sano State Park you can play disc golf, hike and mountain bike. Just down the road from the park is Burritt on the Mountain. This unique museum of regional history is housed in the home of Dr. William Burritt. His 14 room mansion built in the 1930’s has many unique features, like being insulated with over 2000 bales of hay. The grounds are home to a collection of restored farm buildings and cabins brought to the sight from all over North Alabama. Here on top of Monte Sano Mountain you get the most spectacular views of the city of Huntsville and the Tennessee River Valley. Chuck Prevatte is happily married father three. Enjoys Good food, Wine Beer and Travel. Scout leader, Scuba Diver, traveler. He has been a guest multiple times on The Armature Traveler Podcast. Follow him on Twitter and Instagram @chuck006. Check out his blog at foodwinebeertravel.com. All content and pictures within this post has been provided by Chuck Prevatte. This article, the Top 3 Things to do in Huntsville Alabama, is part of our Blogger’s Hometown Favorites feature, where Guest Bloggers share their local hometown travel tips and favorite local attractions. If you’d like to share your hometown travel tips and favorite activities in a guest blog post, please email: Allison (at) FunFamily (dot) Vacations. Thanks for the suggestions. I am on a mission to visit every state- and Alabama is one of seven or eight I have not yet visited! I have been to Alabama but only passed through Huntsville. Thank you for the list of places to visit. Thanks for these great tips! If we ever make it to Alabama, I will keep these in mind! We don’t travel much but just in case, these do look like fun things to do in Alabama.